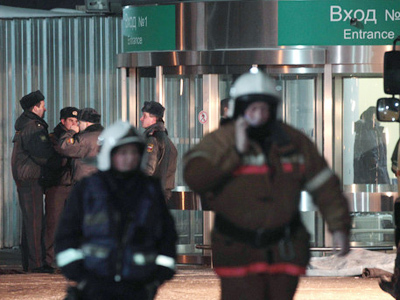 Following the deadly explosion at Moscow’s Domodedovo Airport, public transport security has come under scrutiny. 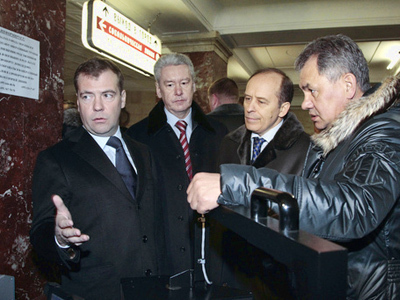 President Dmitry Medvedev personally went down into the Moscow Metro to check how security systems function there. ­Medvedev visited one of the busiest stations in central Moscow, Okhotny Ryad. He was accompanied by Interior Minister Rashid Nurgaliev, FSB head Aleksandr Bortnikov, Moscow Mayor Sergey Sobyanin and Transport Minister Igor Levitin. The station was not closed for passengers and was working normally. 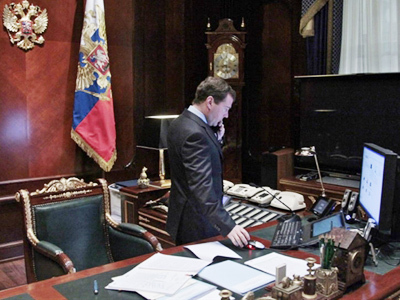 President Medvedev was shown systems used for checking people and objects. He also checked a terminal for calling emergency services. Security measures have been stepped up in Moscow and across Russia after a blast Domodedovo Airport killed 35 people and injured more than 120. Some officials responsible for security of air transport have been sacked. Among them, head of aviation oversight in central Russia Yury Tsibin, his deputy Valery Maletin, as well as several other high-ranking officials. Transport Minister Igor Levitin also called on the government to sack the head of the Federal Service for Transport Oversight, Gennady Kurzenkov. Earlier on Thursday, Deputy Prime Minister Sergey Ivanov came up with a suggestion to create a special-purpose unified federal body to oversee security on transport. He said this is needed to co-ordinate the efforts of all services and agencies involved. Currently there is a division of responsibility between various bodies. 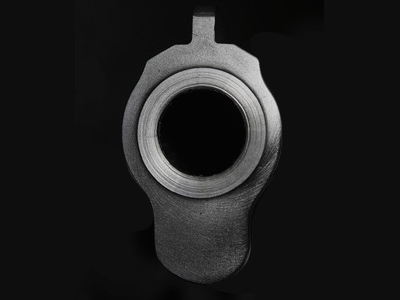 It is often the case, as in the case of Domodedovo Airport, that security on the surrounding territory is provided by police, while the inner premises are the responsibility of security services. Not only does the current system fail to provide security, Ivanov said, but it also turns out it is financially inefficient. In July 2010, the government adopted a complex program for transport security through to 2014, with a budget of 46.7 billion rubles (around US$1.6 billion), of which 7.8 billion rubles (roughly $270 million) has already been spent. “It’s a significant amount – but we can all see the result,” he said.